Processor, Chipset and RAM- 1.2GHz quad-core MT6589 SoC paired with PowerVR SGX 544 GPU and 1GB of RAM. Memory– 4GB of internal memory, out of which 1.77GB can be used. It can be further extended up to32GB via microSD card. Operating System- Android 4.2 Jelly Bean. There is no official press release or communication about the launch of the device. Prices on various online retail portals also range between Rs 12,000-13,500. However, Micromax’s move to launch the facelift of a device without making any meaningful modifications or changes seems surprising. Instead of this, they could have easily come up with an operating system update in the already existing phone. Our Take: Yes, its nothing new but an updated version which costs the same. Looking at the solid specifications and logic, it looks more of a marketing gimmick to have come out with a new launch rather than doing something new. Whichever way it is, the phone makes for a decent budget smartphone. 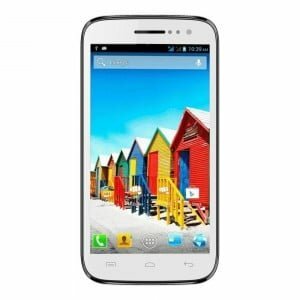 Hence, if you were looking for owning an Android based, decent and affordable smartphone device, your search may end with Micromax’s A 116i Canvas HD. canvas 116i is very good smartphone in comparison with Samsung or htc smartphone due to its low price and challenging features. camera & flash is a little bit weak but its price justify its quality. it can play 1080p resolution videos on mx player easily. i tested 4g speed on Airtel @ 12mbps while downloading so nothing to talk about its hardware. if you think the age of any smartphone to be 2 years then it is a good deal. don’t waste money merely in big brand names. two days before i purchased this it’s video quality,battery charging and everything fine.